Recreating Balance: ‘Open Letter to David Wilcock, Corey Goode, and All Other Alternative Media and Lightworkers…’ December 18, 2015. We all know there is a major shift happening, which is coming to its peak soon. 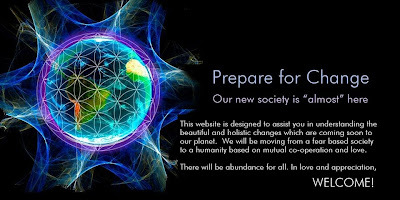 We all know that the faster human consciousness evolves, the faster and smoother this shift will happen, the faster this planet’s ecosystems and inhabitants will be healed and free. We all want that. How exactly do you picture this evolution in human consciousness ? How does it manifest ? I think we all agree that it happens as we tap into our true power. I have seen most of you share studies proving how group meditations reduce crime and increase well-being and peace, in a demontrable way. These results apply to group synchronized meditations. This is our true power in action, in unity. I believe that these studies have come out so that we put them into practice. I believe it is time for us to apply the science and come together to generate an energy field to manifest the shift now. This is how we start tapping into our abilities and heal this planet together. I know that some of you may have some doubts or disagreements about Cobra’s information, who put out this meditation. I personally do not share these doubts and disagreements and working with Cobra has brought me a lot of goodness, but I respect that you can have them. It’s totally okay. I believe this is not an obstacle to meditating together. If you do not agree on some aspects of the meditation, you can simply do it in your own way. The more similar, coherent and synchronized our visualizations are, the stronger the resonance and the stronger the manifestation, and what matters is that we all visualize the cabal removed from power, Disclosure happening, and a bright future for humanity together. We do not have to agree on absolutely everything to meditate and work together. The Galactic societies out there know and practice this. You can even forget about the meditation at 7pm GMT and publish your own synchronized meditation, in your own time, visualizing your own version of the shift and liberation of this planet. We can join you. Imagine the power of all of us coming together visualizing the timeline we all want. We can truly take action together to heal this planet. 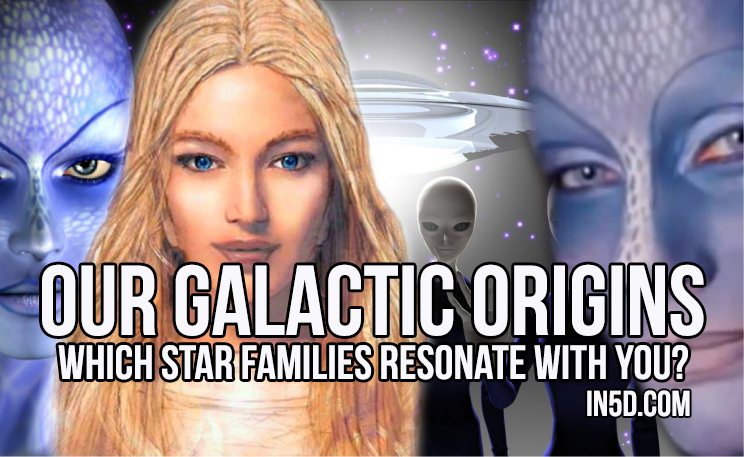 In5d: ‘Our Galactic Origins – Which Star Families Resonate With You? Did you ever wonder the REAL story of where our galactic lineage originated from? Do you feel any ties to the Pleiades? Lyra? Sirius? Vega? Orion? Arcturus? Zeta Reticuli? In passing through the Prism of Lyra, the first fragmentation created a group of beings that can be called the Founders. The Founders embodied the group consciousness of what eventually became humankind. They can project to a very high level of fourth density, but their natural state is nonphysical. In splitting off from the portion of the Whole that passed through the Prism of Lyra, they still retained a memory, if somewhat dreamlike, of the idea of integration and the purpose of the fragmentation. It is they who orchestrate humankind’s evolution. They play the roles of the parent archetype, in male and female polarity balance. The Founders became aware of the blueprint that was chosen as they fragmented from the Whole. From this blueprint they knew that “children” carry the encodings of the “parents.” Since they played the parents’ role, it was their responsibility to influence the growth of the new consciousness about to be created. In doing this they became the blueprint, began to understand and live it, knowing that this would encode future fragments. The Founders began to understand the natural energy patterns of the polarized reality just created. All interactions occur within the lines that connect each point, with very few aspects of consciousness existing within the points of purity. This realization inspired them to understand a paradigm of polarized reality, which was something exciting and new to their understanding. When they believed they were ready, the Founders began another fragmentation. Just as a portion of the Whole became curious and created this realm from its thoughts, the Founders emulated their “parents” and exerted thought energy to create a fragmentation of themselves. This fragmentation occurred far and wide; individualized consciousness sprang from the Founders’ group awareness and began to explore the universe. Because of this fragmentation, every being existing in the galactic family presented here is part of the Founders. There are an infinite number of fragments and explorational journeys. Some of these fragments grew into civilizations that have played a part in the development of Earth. When the Founders fragmented, some allowed their energy to densify sufficiently in order to enter a physical reality. The Founders had already chosen planets that could support humanoid life. Then they gently guided these fragments into a physical, third- or fourth-density existence. After time had passed, the fragments became more accustomed to physical existence, and assistance from the Founders (who still existed in smaller numbers) became less needed. The first area to be eventually colonized after the Founders’ fragmentation was in the general vicinity of the Lyra constellation. Most of the galactic family that has genetic connections to Earth has roots in the Lyran system. It was there that the first attempt at integration occurred. • LYRA – The general area of the “birth” of the humanoid race. All humanoid races in our galactic family have genetic roots connected to Lyra. It is the symbolic harp upon which the song of humanity is played. • VEGA – A star within the constellation of Lyra. Descendants of Lyra, Vega birthed a race of beings who manifested Lyra’s opposite polarity both in their beliefs and actions. There were frequent conflicts between the Lyran and Vegan races. • APEX PLANET – A planet within the Lyran system which was the first attempt at creating an integrated society. • SIRIUS – A trinary star group, it is known in Earth mythology as the Dog Star. Sirius was one of the first areas to be colonized by beings from the Lyran star group. Sirius embodied the energy of the triadic template and perpetuated the drive toward integration. There is a large variety of consciousness types that incarnate in this system. • ORION – This is the main “battleground” for the challenge of polarity integration, seeded from Sirius as well as Lyra and Vega. There is a direct connection with Earth, as explored in later chapters (Orion). • PLEIADES – Colonized by Lyran offshoots, this group is Earth’s main genetic connection from extraterrestrial sources. • ARCTURUS – An archetype or future-self ideal of Earth, Arcturus assists in healing personal and planetary consciousness. Its vibration, primarily sixth density, has been attributed to the angelic kingdom. • ZETA RETICULI – This civilization is intimately connected with Earth. The Reticuli are the primary group instigating abductions (or more accurately called “temporary detainments” since this group always returns the abductee). More will be said about this group in later chapters. Though some of these civilizations overlap each other in time and may not appear linear, below is a linear translation of the progression of various cultures in comparison to each other. As for me, my parents and sisters all have red hair. We all have light hazel eyes that change colors from brown to green except for my Dad who has blue eyes. I also have yellow speckles in my eyes. My sisters used to tease me when I was a child, saying that I was adopted because I didn’t have red hair. It was originally blonde, then turned brown but as I aged, it turned blonde again. Redheads generally come from Lyra, which is the home of all of creation. I also feel an affinity to Arcturus after they showed me their ships, which not only changed colors but geometric shapes as well. Arcturians are probably the closest civilization to what we know as “gods”. Their hearts are pure and have only the highest intentions for humanity. Perhaps I’m a Lyran/Arcturian hybrid? What I do know is that I am a human inhabitant on this planet we call Earth, but I also feel a strong connection to Lyra and Arcturus. Mortal constitution of Gaia energetic constructs have transmuted into Higher Vibrational grids. Such Higher Vibrational grids now allow inclusion of what some term ‘Angelic’ entities into the full Gaia presence. Aspects of Inner Gaia previously hidden from human view now become visible. This allows complete integration of the Gaia Being with Inner Gaia. [Êireport comment: the definition of the word ‘mortal’ is below. 3. belonging to this world. 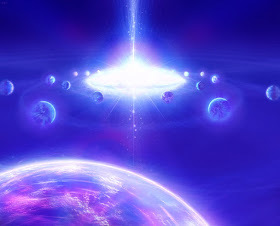 It has been requested from the Light forces that Event support groups begin to be formed on the surface of the planet. Those groups will be the main nodes of the network of Light at the time of the Event and will stabilize the transition. Before the Event, these groups will hold the Light for the planet and train their members in preparedness. After the Event, these groups will assist the human masses in dealing with the transition by providing intel and counseling. 1. Every Event support group needs to meet physically once a week at the same time, preferably in the same location. Virtual meetings on Facebook or Skype are not enough. Therefore the best time of all Event support groups to meet is every Sunday evening. You can also join our translation teams to help spreading the message locally in your part of the world. Currently there are more than 200 people translating our message in 38 languages. You can also create a Facebook group for your local group to make its coordination easier. Greetings Children of Ra, this is Mother Sekhmet reporting to you from my MotherShip Niburu. Niburu is a Dwarf Planet which is 300 miles in diameter. Its oval orbit is perpendicular to Earth orbit at an acute angle. Niburu is within Earth orbit now. Many have pictures of Niburu which looks like a second Sun. Niburu is often behind the Sun from your point of view and why it is not seen more often. NASA has imaged it but they call it the brown dwarf. I would like to share with you all two very significant events which shaped all of our lives for the last many many millions of years. We are in the final moment of healing. This is a good time to visit our memories and clear it together with the greatest of love. The veils of forgetfulness are thinning now. In the beginning Mother/Father God who are also known as Mother Sekhmet and Alcyone decided to create All That Is in their exact image. In Perfection. You All Were Created in Perfection. Mother Sekhmet is also known as First Cause. She is able to Create Life out of herself with no other assistance. No Other Being can do this. However, Alcyone and Mother Sekhmet decided to come together in Union and infuse everything with Love. Father/Mother decided that they chose to share their ultimate perfection and create exactly who they were and reproduce more of themselves which is us and the All That Is. In one big bang All That Is was created. We were all living together as plasma balls of light in the anti-matter Universe of On at the 12th Dimension. Mother Sekhmet/Alcyone along with each one of us, all their children existed together floating along in space. At this time the seven Super Universes were created. Each of these Universes were anti-matter Universes and everything in them was made of light. Everything was formed at once and began spiraling out as fractal upon fractal. So as we floated along we began to grow and we grew because we had the collective thought to do that. Here we were plasma balls of light, existing as Twin Rays of light perfect together. Our Children all came out together but the Creator’s sons and daughters were the Co-Creators with Father/Mother God. Each One of You is a Creator God. Each One of you has the potential for immortality this life time. Each One of you may instantly manifest those things which bring more light into this world. Each one of these balls of light were complete and whole (male/female Twin Flame essences), and as we traveled along we experienced gaining more wisdom. As we grew in wisdom and magnitude we began to take form where we were balls of light that actually looked like spheres. We never needed to grow and expand in our terms of awareness of the Godhead. We were equal with Father/Mother God when we were created. We were created in their exact image. The densification of matter came from us falling from Grace. The first-born son/daughter Twin Rays of God/Goddess were Yahweh (Jehovah) and Lilith. As time progressed they were also Co-Creator Gods, with Father/Mother. These Gods wanted to create out of themselves another Co-Creator God. Their first-born son/daughter Twin Rays of God/Goddess were Lucifer and Karula. Yahweh had the thought, “What if I’m not equal to my Father? What if I am not enough? What if He (Mother/Father) created me less than Him (them)?” This began the fall into denser dimensions and this created the dark matter Universe Nebadon. Nebadon is an exact replica of the Universe On. Nebad translates as “never done before.” This original miscreated thought stays within our collective trauma body as feeling ‘Not Good Enough.’ It is time to let go of that Ego mind program and dissolve it to nothingness. When Jehovah had that thought then it caused all of us to begin to densify together at that moment. Some of the Masters chose at that moment not to fall from Grace. They held their light in the 12th Dimension hoping all would eventually return to the 12th Dimension. Jehovah presented this idea to others and decided to form a team of people who agreed with him to have a war with Mother/Father God. Each One either responded in fear or responded in love. Those who joined with Jehovah at the time of the fall were who we call the negative extraterrestrials. They have also been called the Anunnaki of Niburu and also sometimes the Nephilim. Not all who came from Niburu fell. Jehovah and his team first fell to the 5th dimension and eventually to the 3rd dimension. Never did Mother/Father God ever think it was possible this would happen. There is no lower place to go. Below the 3rd dimension we become crystallized mineral or compounded for which is known as non-sentient beingness. In the human form there are 12 Dimensions. The Sun exists at the 100th Dimension and above that there are infinite numbers of Dimensions where Mother/Father exist as All That Is. As the fall began we created the Adam Kadmon body in the anti-matter Universe. In the Universe of On there were twenty-three different Solar systems. There were 23 different Suns. Each Sun had 12-14 different Planets around them. Niburu was in the 23rd Solar System and Aurora was the name of Her Sun. So as time went on Jehovah decided to see if he was as strong as his father Alcyone so he began to destroy all the Suns. He fired on them from his StarCraft. Jehovah declared himself above his Twin Flame, Lilith and he began a war with the sexes as well as a war with the light at the same time. It was with the first thought of ‘I am not as good as my father” when duality began. Now we are returning to Oneness. WHOLENESS! Niburu was Mother Sekhmet’s Home Planet and it was the last of the twenty-three Solar Systems to be destroyed by Jehovah. Jehovah wanted to control the matter Universe and so he took his Space Craft and blew a hole right through the Space – Time continuum. It was by destroying all twenty-three Suns in the On Universe that he accomplished this. When Jehovah came to destroy Niburu everyone had to evacuate on Ships and go to the dark matter Universe or join Jehovah’s team. Niburu was the Ship commanded by Sananda Kumara carrying the 144,000 Holy Kumaras. Jehovah commandeered the Ship and destroyed it. Some died with the Ship. This was a great trauma which took thousands of lifetimes to heal. Those who died and Niburu was also reconstituted by Archangel Metatron who holds the Divine Blueprint for everything ever created. Mother/Father God and Archangel Michael sent Jehovah and his son Lucifer to live in other sectors of Space. That is when Sananda Kumara, also known as Jesus and Santana Kumara, also known as Archangel Michael were given the title Prince of the Planet on Earth. Lucifer went to Maldek and Jehovah went to the Orion Constellation. It was at this point everything from there on was like a holodeck program. Its all a game. Its all an illusion. Its not real. We look forward a bit and see what finally is being healed now. Maldek created a situation where they were playing with nuclear weapons as part of their war games. Many of those who fell went to the Dracos Constellation and the warring continued. At this same time the Ones who were a part of the dark Force on Earth were in a power struggle over the Great Crystal on Earth. Maldek had a conflict which involved two groups in two different cities dropping nuclear war heads on each other. They blew up the Maldek Planetary Grid and Maldek went Supernova three days later. This explosion created the Asteroid belt between Mars and Jupiter and the Planets Ceres and Vesta were formed, among others. At the very same time laser technology was used with the Great Crystal on Earth. The beam was shot into the Argatha Network at Inner Earth into the central sun there. That energy was returned to center as Mother Earth was protecting Herself and the Great Crystal was blown into large pieces and this disturbed Earth’s orbit. When Maldek exploded into bits the explosion caused all the water on the surface of Mars to be blown onto the surface of Earth. This is what we know as the time of the Great Flood. This made the water on Earth rise from covering 2/3 Earth surface to covering 3/4 Earth surface. Noah took onto the Ships all the Masters he could talk into coming along with the other life forms. They went to Inner Earth for a short time, some days, while Earth healed from the Flood. These are the two major Events – the Fall and the Flood – which we are healing once and for all. There are now about 1/3 of the 7 billion people on Earth who are awake and aware Masters helping Earth Ascend (back to their Ships, back to their Home Planets) and eventually back to the On Universe. 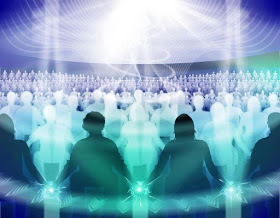 There are now about 1/3 of the 7 billion people on the Planet who will be invited to continue in duality where they will incarnate on other Planets in the 3rd Dimension which are suitable for their Soul growth as they work their way back to love. They will be given about 26,000 years to try it again through multiple lifetimes if need be. The last third on the Planet are now waking up and are in various places on the Path. These are the Ones we have been working to heal. This is one of the reasons we allowed it to take so long. We wanted as many as possible to return to love and Ascend with Mother Earth. The most important Mission anyone has right now is to take responsibility for them selves, their relationships and their environment. It is imperative to work on dissolving ego. Follow Bliss and Return to Love. It is not too late. Nothing else in this illusion matters now. Ride this Solstice Full Moon energy into Completion! My name is Daniel ‘Trinity’ Jackson. I am a Channel for the Galactic Federation of Light, a Professional Astrologer, Author and Workshop Presenter. I am also known in the Angelic Realm as Derestanne. The following message was recently sent to me over a period of several days in “installments” by several members of the Galactic Federation of Light. Sanat Kumara was the principal source of this information. I and They would like to see this message reach the widest possible audience. Thank you sincerely! 1) There is one particular thought and one particular way of living that constitutes the difference between Human Beings and Divine Beings and that thought is: “There is no such thing as impossible”. If you believe that “impossible” is possible then you are a human being. If you think, live and breathe that impossible does not and cannot exist, then you are operating in the realm of the Divine. Think and embrace this with all your Heart and your journey into the Kingdom of Heaven on Earth has begun! 2) In any situation whatsoever that life presents to us, it is always best to act with Love and kindness rather than with anger and force. Applying Love will take less of a toll on your nerves, health and peace of mind and it will always produce the best results in the long run for all concerned. And if the desired outcome cannot be accomplished through Love then no amount of anger and force will accomplish that particular outcome, assuming that it was desirable to begin with! 3) Love is so essential to the Divine Plan that each individual soul contains an unlimited number of soul mates within it. Even though loneliness is an illusion, to experience it serves as a constant reminder that Love is the true essence of all. Your success in life depends upon how well you participate in the spreading of Divine Love and Joy! The very cells of your body communicate Love from one to another! 4) Love is more passionate than fire, more rarefied than the purest air, more real than Earth and more flowing than water. Like water, if you try to stop the flow of Love then it simply finds another place to flow. One who encourages the flow of Love is inviting a torrent of all good things into their life! 5) Your personal role in the Divine Plan will unfold in the best possible way when you avoid unnecessary confusion and entanglements and keep everything simple and straightforward. Like electricity, the Divine always takes the path of least resistance. If you want blessings to flow into your life, be certain at all times that like electricity, you are a suitable conductor! 6) All EnLIGHTenment begins with light and that is why the first thing that God spoke was “Let there be light”. Begin by sitting comfortably and visualizing white light surrounding you, three different times each day, for thirty days. Use soft light at first and gradually intensify the light each day. The light you visualize must gradually become so strong that it can reach deep into every cell of your body. When this intensity of light is reached the cells of your body will initiate a self-illumination process. This is known as Lightbody Activation. 7) Your Heart is a gateway to infinity! You are nearest to God in every moment of your greatest joys and raptures! The Creation intends for every Heart to be filled to overflowing with Love, Joy, Wonderment, Wisdom and Bliss! Unleashing the Limitless Potential of the Divine Heart is Key to all personal and spiritual development. This is the essence of all Religion and the beginning of all genuine Enlightenment! 8) Upon reaching a state of Oneness with the Creator you will realize that the Universe contains two principal polarities and both of them exist within you and within the All That Is in every Dimension. These are the Inquisitor or “the Seeker” and the Unlimited Potential or “The Creation”; in the East these are called Yang and Yin. This was done by The Creation to ensure that Love would perpetuate through time, space and Eternity! One must then create a Sacred Covenant with God for the purpose of defining how the Inquisitor and The Creation will unfold further soul growth and progress together. Remember always that an unlimited number of Answers, Angels, Comforters and Healers are available instantly to every sincere Seeker! 9) Your Relationship to God is no more and no less your relationship both to yourself and to all else in your awareness and beyond. Therefore increase your world with many diverse companions and think twice before ending any friendship. Let your arms stretch across spacious galaxies and let your heart embrace every distant star!